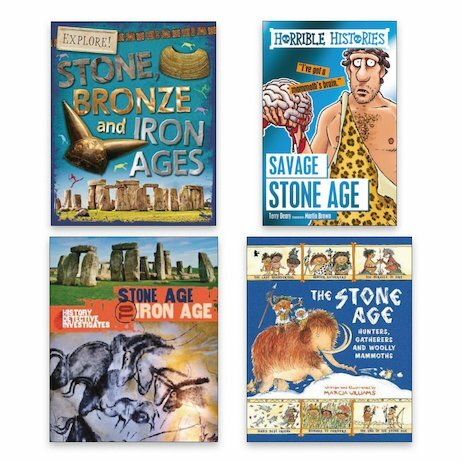 So: you want to learn about the Stone Age. Here’s a tip: don’t run up to ask your grandparents what life was like when they were young. They probably won’t like that. No: the simple and polite way to learn about early humans is to get hold of this pack and get stuck into its books. You’ll get the straight facts. You’ll get the funny facts, courtesy of the legendary Horrible Histories series. (It’s bursting with super-silly jokes and cartoons.) Oh, and you’ll also get loads of experiments, projects and crafts. All guaranteed to keep you busy for ages. Bet you’re glad you don’t live in the Stone Age, when there were no books at all!